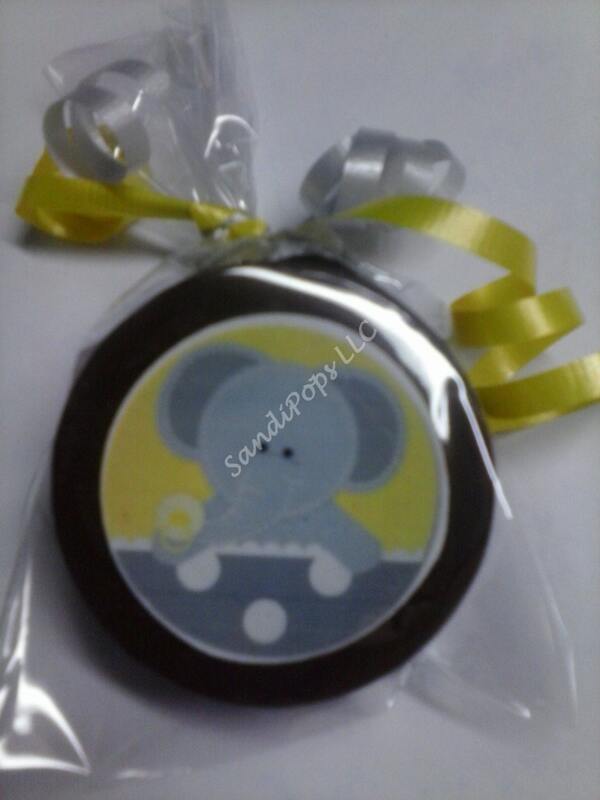 24 Edible Image Lollipops or Oreos Elephant Baby Shower YOUR IMAGE can be used!!!! ANY IMAGE can be put on these pops!!!!! If you do not contact me with your own elephant image, this image will be made for you. 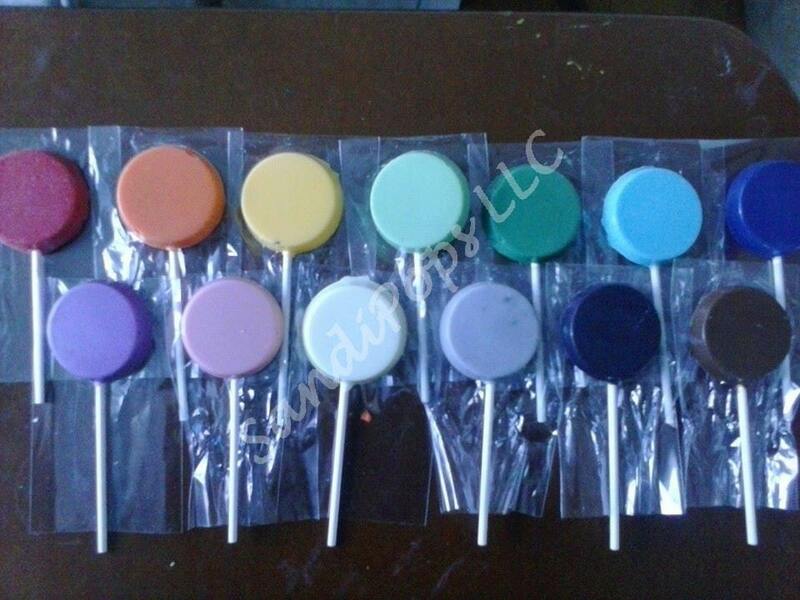 These delicious milk and/or vanilla chocolate lollipops are made-to-order and will make a perfect addition to a bay shower, first birthday, etc... 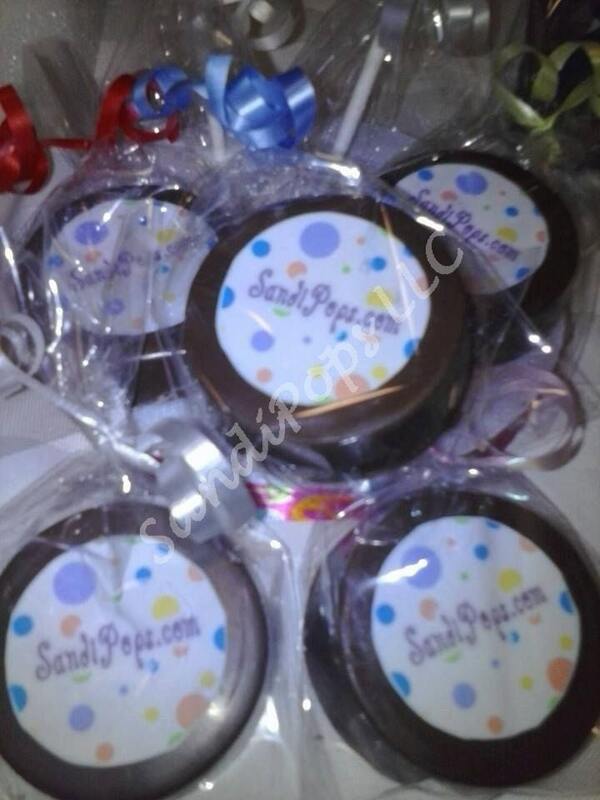 They can be used as a gift, gift topper, place setting, party favor, thank you, centerpieces (group), or a bite size snack. I do not claim ownership of the licensed images. 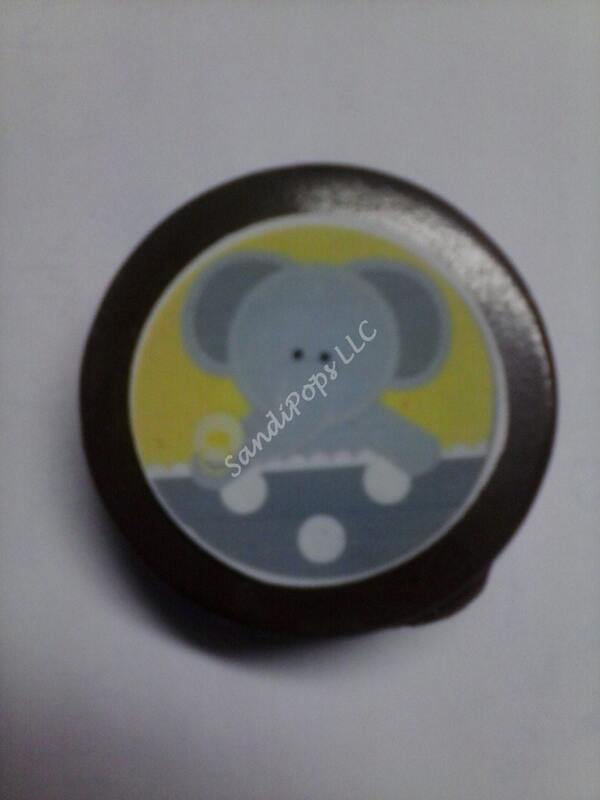 All characters or images on my edible toppers are free. You are paying for my service in creating, customizing and printing any image of your choosing in edible form for your own personal use. They cannot be resold for any reason. They are the sole ownership of their respective copyright holders. This was a specific image sent from an invitation for me to make edible at no extra cost.